Action Pump & Grout Services is a premier concrete placement company, and we believe in quality and professional service. We take pride in the services we offer, and strive to bring you the most affordable prices. We are fully bondable and Insured so you can rest easy knowing your needs are met with prompt professional service, at affordable prices! 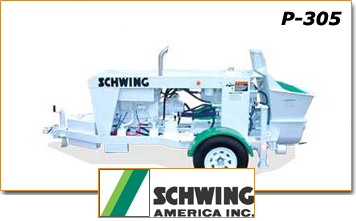 We are one of the few small line concrete trailer pump companies in the Phoenix and Tucson Arizona areas and throughout the state that employ high pressure hydraulic concrete trailer pumps with swing tube technology. Our concrete pumping equipment can be used in many applications, some we have listed; concrete pumping, slurry pumping, grout pumping, and shotcrete & gunite pumping processes where liquid cement needs to be pumped and placed into hard to reach areas. Our concrete pumping equipment is able to pump from a variety sources such as ready mix & mini mix concrete companies, and even ready mixed on site concrete transit mix companies. We are one of the few companies in the state of Arizona that can pump larger aggregates such as ½” up to 1-½” through our concrete trailer pump fleet. 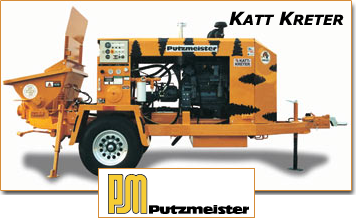 Our services include Concrete Pump Rental, Grout Pump Rental, Shotcrete & Gunite Pump Rental and Service. Based centrally in Maricopa County we run our own concrete pump repair shop too, so you may rest assured that you are being provided with the highest quality concrete, grout, shotcrete & gunite equipment that anyone has to offer in the northern, southern, central, eastern, and western Arizona. Most importantly because of our great service we have the best rating a business can receive from the Better Business Bureau; an A+, which we maintain over the years by keeping job sites clean and free of concrete messes each and every time, no excuses. During this great recession, some even call this the new depression; action pump continues growing because of employing common sense and Green Concrete Pumping cleanup practices. Hard to reach location? No worries, just pump it!